Mmm, this may not surprise you, but I love it. It is just so super duper ultra blingy in-your-face holo. I can be sitting on my couch in my dark apartment (hey, it’s hot here) and my nails are just rainbowing away. Stand in the sun and you risk going blind like mountain climbers in the snow. The formula on this is top notch. I’m going to put this in the highly coveted category of “paints itself on.” I used two smooth coats here for full opacity. Two! What sort of sorcery are they up to over there at ILNP’s Vegas headquarters? See that over there? Right up there? That’s the shade picture. Rainbows in the shade! This whole bunch of holo/flakies should be called that: rainbows in the shade. From the moment it landed on my doorstep, I just wanted to get Pink Mimosa on my nails as fast as possible. But, I did promise that July would be a month of nail art, so I cooled my jets for a minute and added a stamped accent. 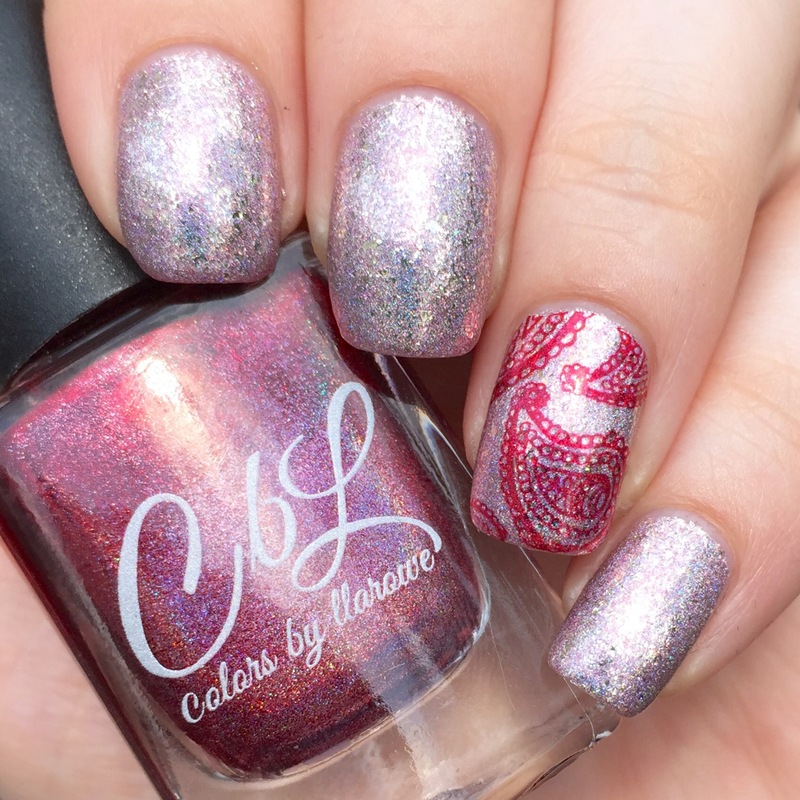 I used Colors by Llarowe “Pirates of Penzance” (reviewed here) and the Bundle Monster BM-XL10 stamping plate to add a paisley design that reminded me of summery bandanas. 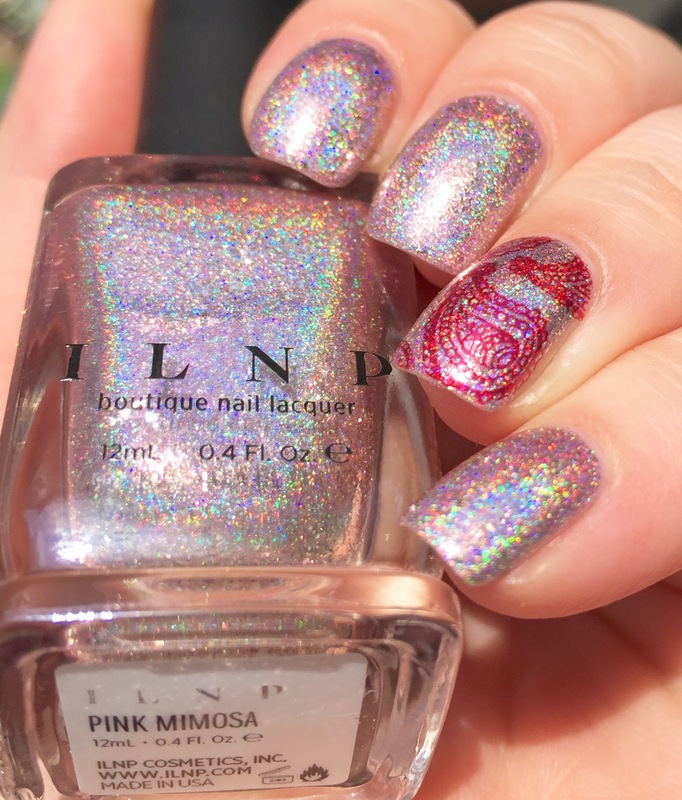 If you’re anywhere near as infatuated as I am, I suggest that you check out ILNP’s website for “Pink Mimosa” and its cousins (Happily Ever After, Fame, Money Bin, and Shoreline). They are 100% worth it! I am obsessed with it. I don’t know why I didn’t pick up all the other shaded while I was at it. Ack! This collection is waiting in my mailbox for when I’m home from vacation. I’m dying here. 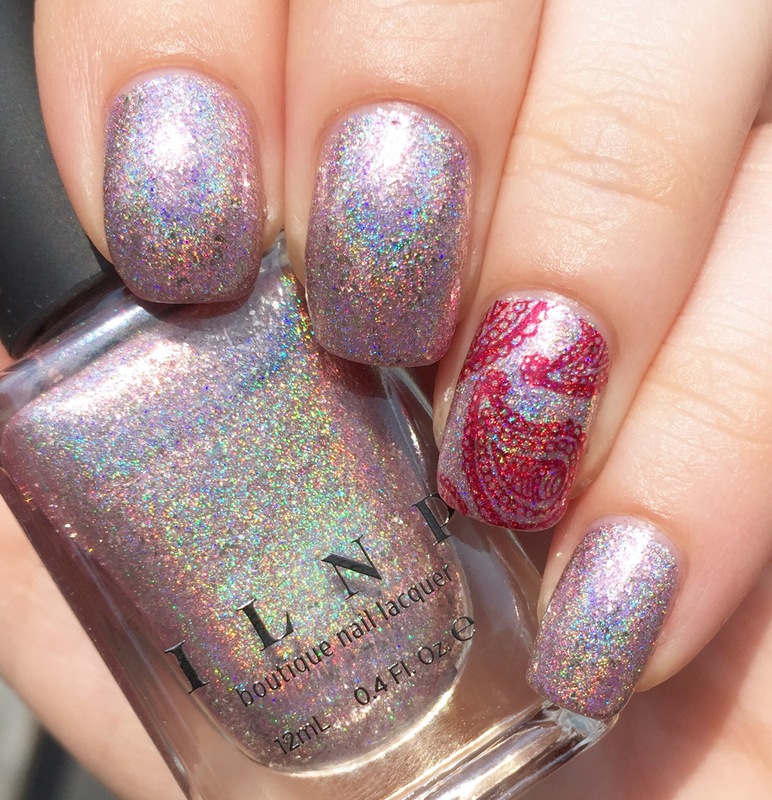 ILNP makes some of the best holos! I’m so in love with ILNP holo silver flakies..they’re just gorgeous!! I really want to love this polish because hello pink and holo! but I’m kinda meh, and I dont want to be. Silly I know. 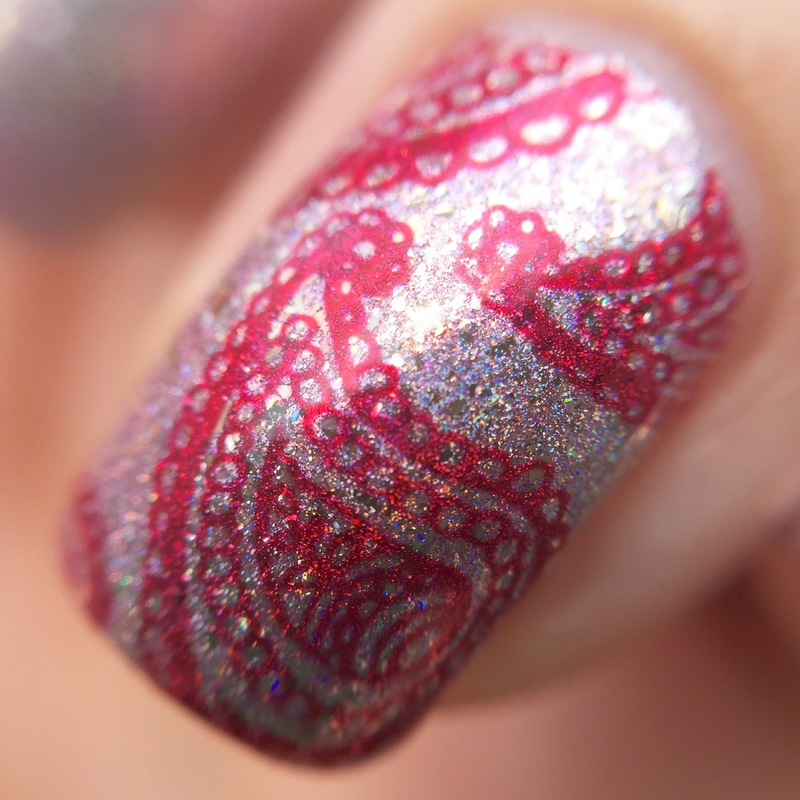 The stamping you did is great, with those crisp details in the paisley.